Dr. Talitha Washington is a tenured Associate Professor of Mathematics at Howard University. She is currently a Program Officer at the National Science Foundation (NSF) in the Division of Undergraduate Education. She is interested in the applications of differential equations to problems in biology and engineering, as well as the development of nonstandard finite difference schemes to numerically solve dynamical systems. 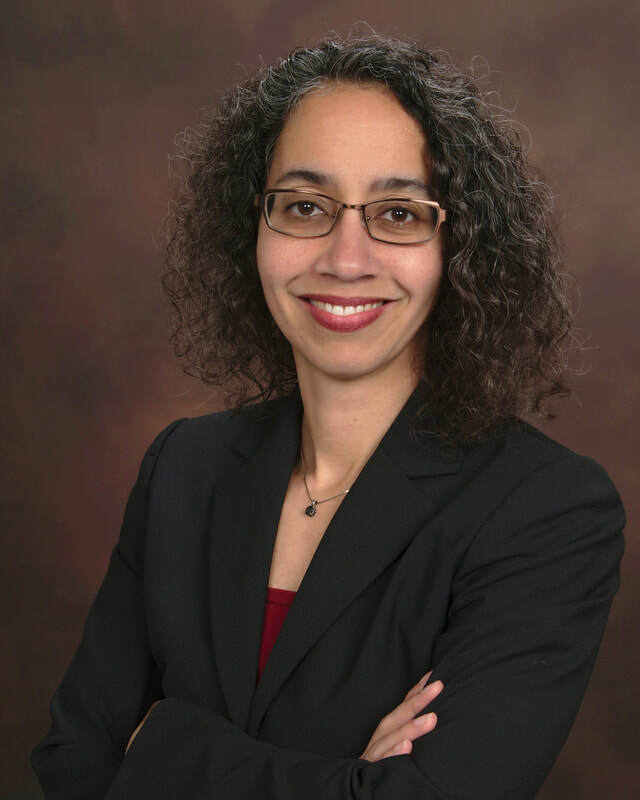 She is the recipient of the 2019 BEYA STEM Innovator Award, MAA's 2018 Leitzel Lecturer, an ASI Fellow , and featured by NSF as a Woman History Maker. Dr. Washington completed her undergraduate studies in mathematics at Spelman College and studied abroad at the Universidad Autónoma de Guadalajara, Mexico. She earned her master's and doctoral degrees in mathematics from the University of Connecticut. She was a VIGRE Research Associate in the Department of Mathematics at Duke University. She held assistant professorships at The College of New Rochelle and the University of Evansville, and most recently, an associate professorship at Howard University. ​She earned the Project Management Certificate from Georgetown University, and completed the AFP Fundamentals of Fundraising Course from the Association of Fundraising Professionals (AFP). She is also a graduate of the SACNAS Leadership Institutes, led by the Society for the Advancement of Chicanos/Hispanics and Native Americans in Science (SACNAS). She coordinated the EDGE Program (Enhancing Diversity in Graduate Education) and has led a Mathematical Biosciences Institute (MBI) Research Experience for Undergraduates. Her work on Dr. Elbert Frank Cox, the first Black in the world to earn a PhD in mathematics, has been shared on radio and television stations, as well as in the Notices of the American Mathematical Society, easily the most visible journal to all mathematicians. ​Dr. Washington is an in-demand motivational speaker who enjoys sharing her expertise on applied mathematics as well as STEM diversity to a wide range of audiences. Click for high resolution photos. Dr. Washington teaches, educates and stewards future mathematicians that will impact the grand challenges of the world. Featured as a Women's History Maker. Download video here.